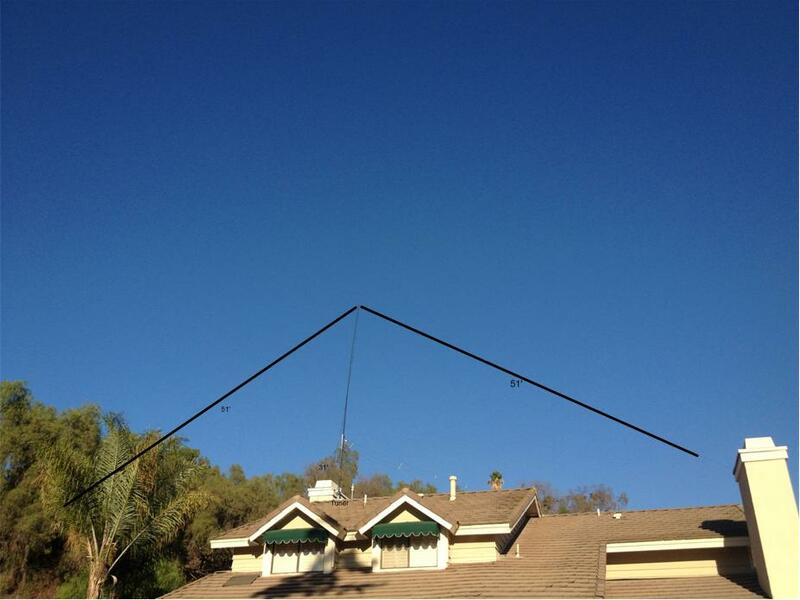 I put up the G5RV up on the 27ft pole, which puts it 20 ft above the DX-CC. Resonance is off, maybe the wire stretched, I probably should put up the 14 gauge wire. Here is the current resonances: 3.673Mhz @2.3SWR, 6.671Mhz @2.5 SWR, and 13.542Mhz @1.8 SWR. I’ve gotten a few DX contacts on 15m JT65: JH3OWW (Japan) and LU8EX (Argentina) with strong reports of -06 and -09 respectively. The signals are quite clear over the DX-CC, especially with 20ft more height it is hearing alot more with a lower noise level. The fact that the G5RV is so light, with no balun needed at the top, the Jacklite pole does a great job holding it up.